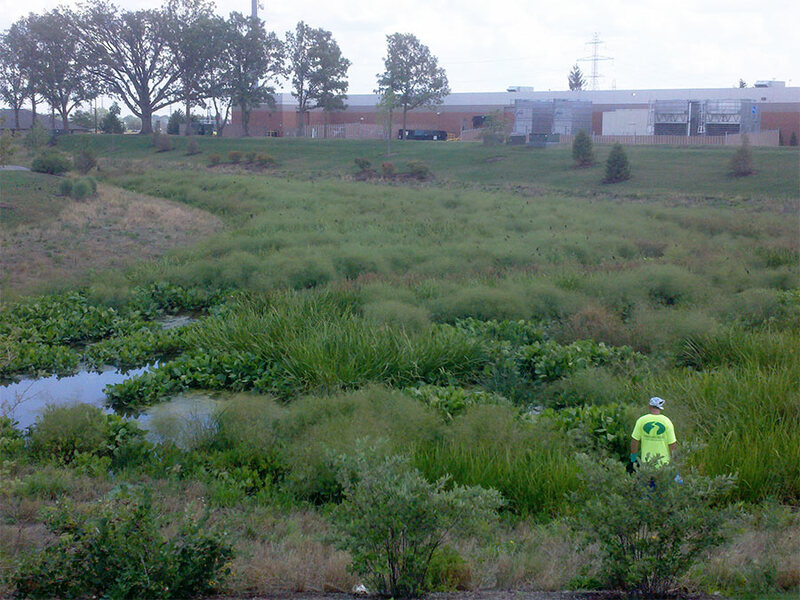 Project Type: Installation | Owner: Parkview Health System, Inc.
Williams Creek Management provided professional installation services using native plant material for the Parkview Regional Medical Center in Fort Wayne, IN. 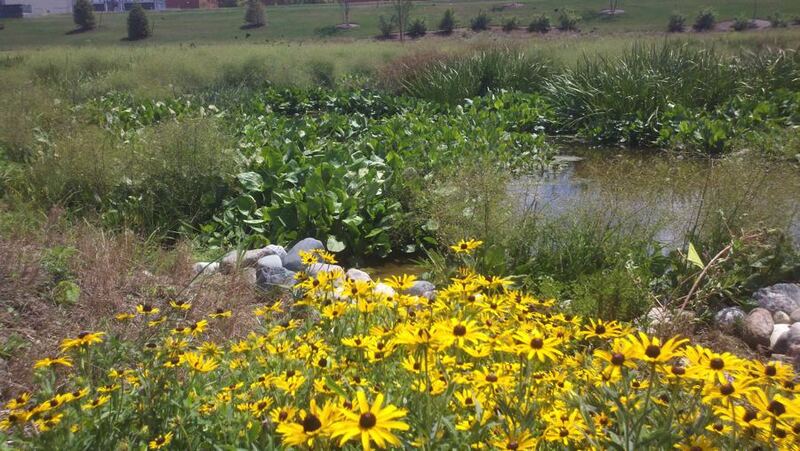 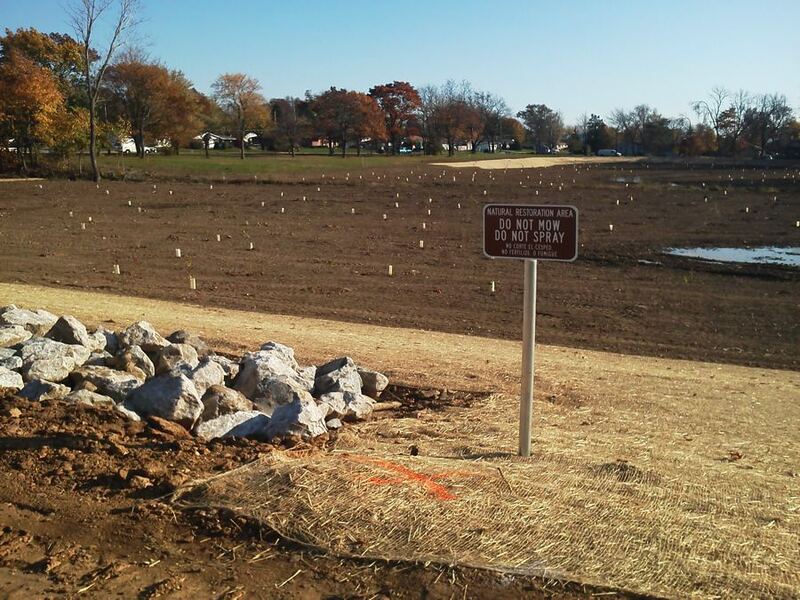 Native plant material was primarily used on this project within the constructed wetland basins and rain gardens. 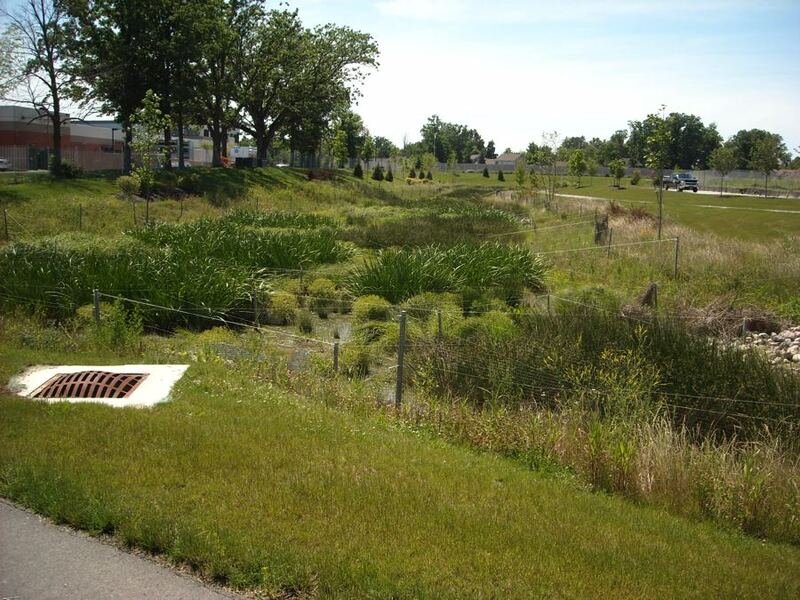 A mixture of forbs and grasses were used to reduce peak run off, trap pollutants, provide aesthetic barrier between the hospital facility and corporate campus, improve pedestrian experience, and increase wildlife habitat. 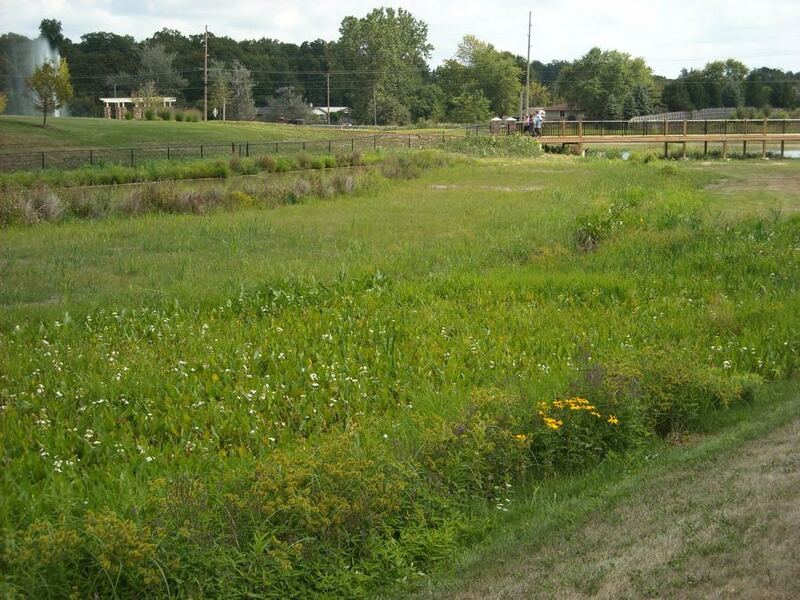 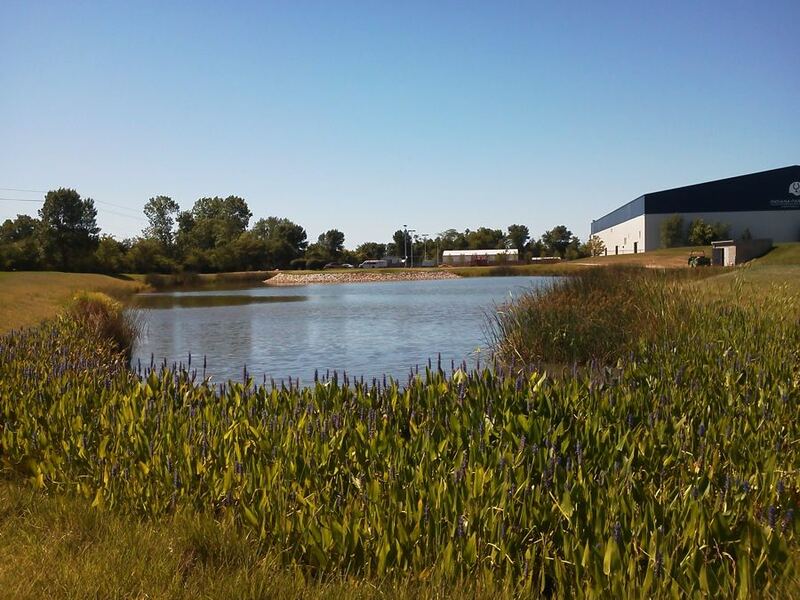 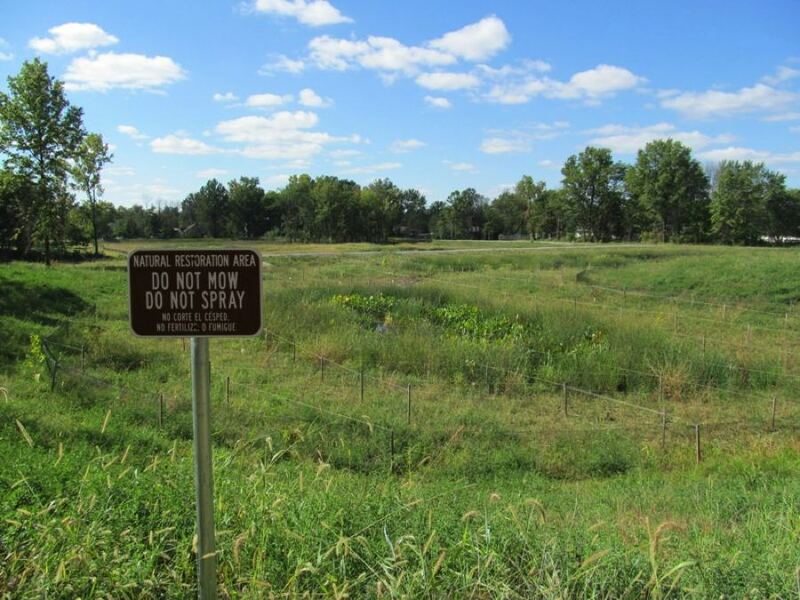 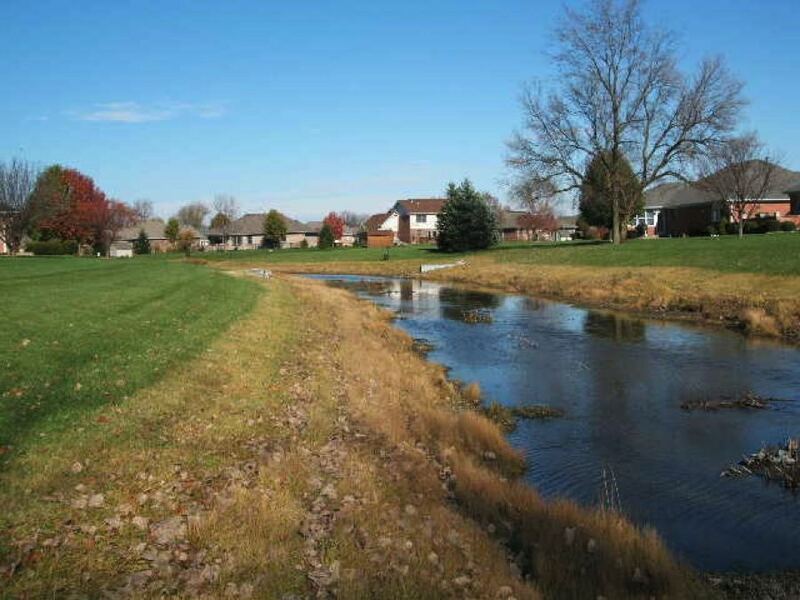 The constructed wetlands and rain gardens were designed to detain and infiltrate stormwater generated from site for gradual release to the receiving stream. 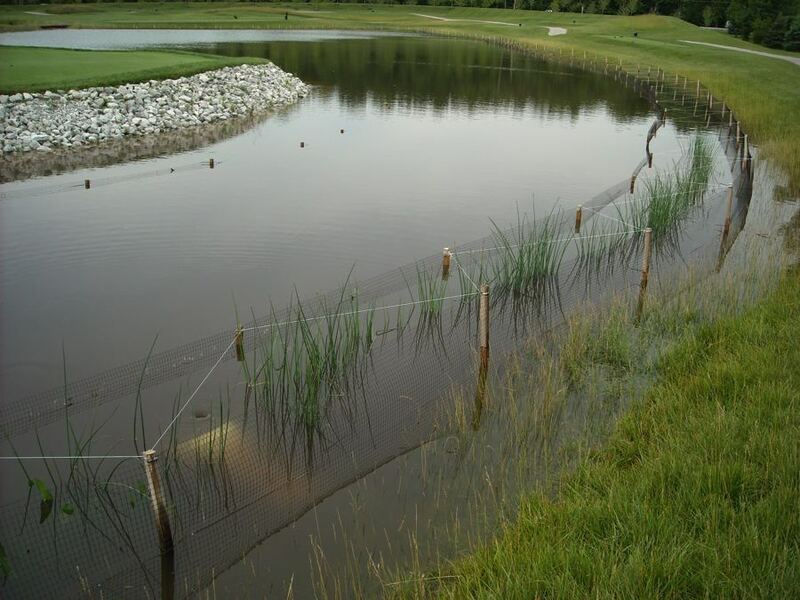 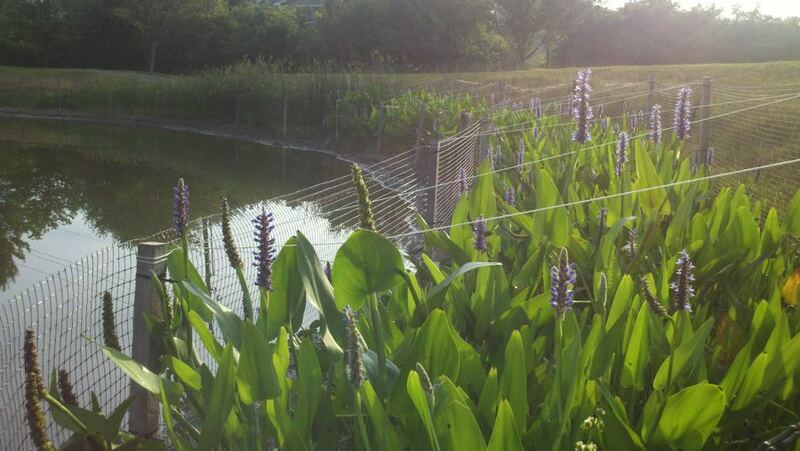 These larger constructed wetlands were designed to release the detained run-off within a 24 to 48 hour period. 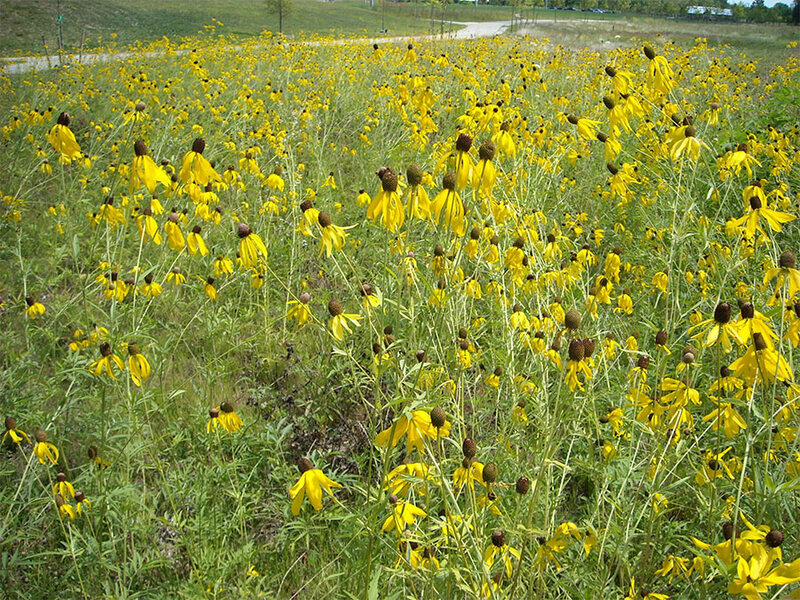 With water elevations ranging from 1 to 2 feet during a typical rainfall event, native plants were the most viable and aesthetically pleasing solution to stabilize the basin and surrounding slopes. 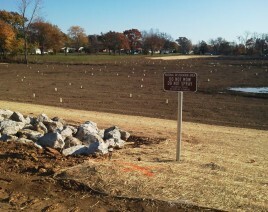 A total of 120,000 live plants were installed throughout these basins and slopes. 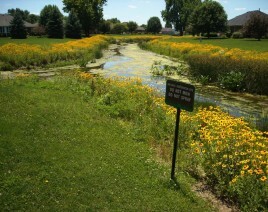 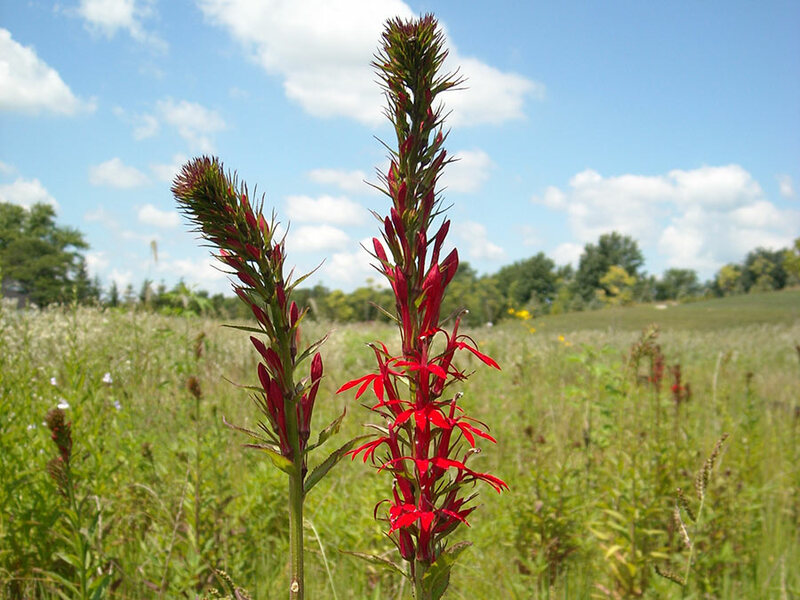 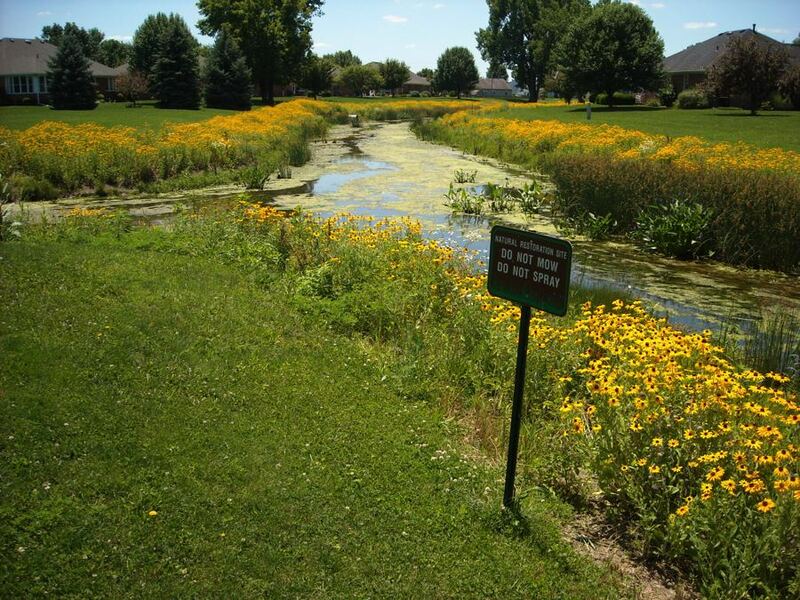 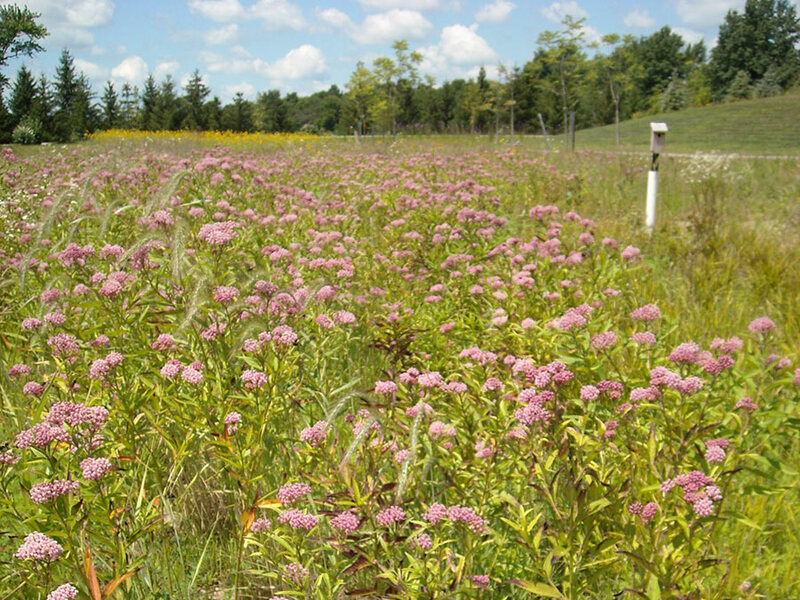 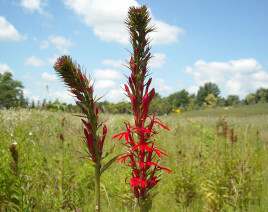 A mixture of low stature prairie and wet-mesic plant material were used for these areas.